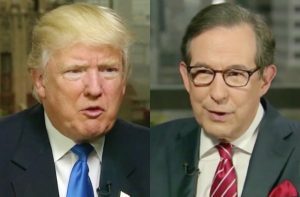 Chris Wallace confronted President-elect Donald Trump on Fox News Sunday this morning about having conflicts of interest as president. Trump insisted he won’t actually be involved in managing that or managing his company, saying he doesn’t really care anymore. Wallace pointed out that he “hammered Hillary Clinton over the Clinton Foundation and pay to play,” but now foreign countries may be “trying to curry favor with the President of the United States” by either making deals or going to his properties and spending lots of money there. Trump touted that he is “turning down billions of dollars in deals,” even revealing that he turned down a total of seven deals from “one big player” last week because he was concerned about a potential conflict of interest.